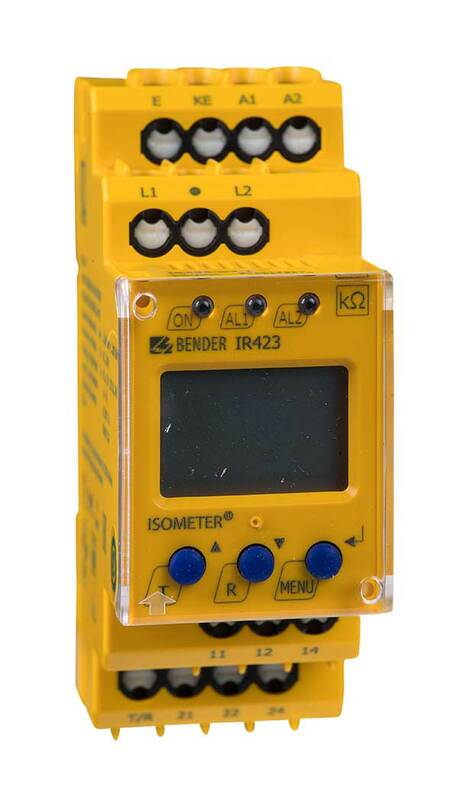 The ISOMETER® of the IR423 series is designed to monitor the insulation resistance RF of an unearthed AC system of 0…300 V to earth that is supplied by a mobile generator accor­ding to IEC 60364-5-551 / DIN VDE 0100-551 (VDE 0100-551). The IR423 is suitable for AC sys­tems with operating frequencies ≥ 30 Hz as well as for AC systems with directly connected DC circuits. The maximum permissible system leakage capacitance Cemax is 5 F.